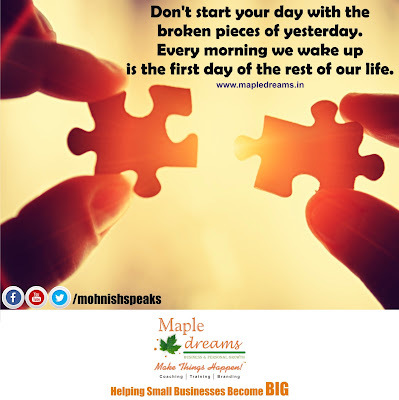 Don't start your day with the broken pieces of yesterday. Every morning we wake up is the first day of the rest of our life. Every morning we wake up is the first day of the rest of our life.